More than 80 nations have gathered in Slovenia for the biennial meeting of the International Whaling Commission. The IWC tries to balance national sovereignty, culture and subsistence rights with nature conservation and animal cruelty concerns. Originally established as an international body for regulating sustainable whaling and monitoring whale stocks, the IWC started leaning towards conservation and nature protection in the 1970s and 1980s. The meeting will run for five days and marks the 70th anniversary of the IWC’s founding. It also coincides with the 30th anniversary of the whaling moratorium, which is estimated to have saved tens of thousands of whales. What is likely to be top of the agenda? Among the main issues discussed will be Australia’s renewed efforts to bring more scrutiny to the process of scientific whaling permits. These are issued by Japan to Japanese whalers in defiance of the moratorium. Additionally, Brazil and several other South American and African countries are pushing for the establishment of a new whale sanctuary in the Atlantic. Will the meeting go smoothly? The organisation’s 88 member nations are divided into pro- and anti-whaling camps. Who are the main pro-whaling nations? 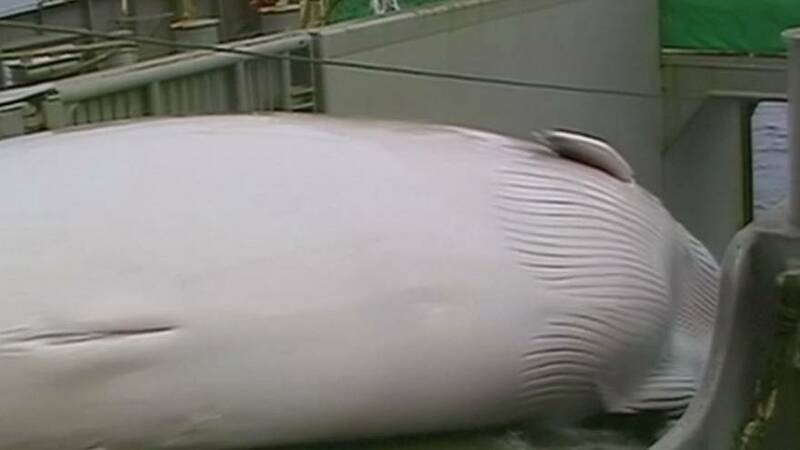 Japan sets its own quotas for whale hunts it says are carried out for “scientific purposes”. Norway and Iceland hunt carry out commercial whale hunting under legal loopholes. Aboriginal whaling is carried out by countries with a tradition of doing it for subsistence purposes. Although a 1986 moratorium was successful in greatly reducing the numbers of whales taken, Japan chose to defy the ban. It routinely exploits a provision in the moratorium that allows whaling to be conducted for scientific purposes. Because of this, Japanese whalers still kill hundreds of whales every year. Many are in the southern ocean, which led Australia to take Japan to the International Court of Justice. It ruled in 2014 that Japan’s whaling should cease. In spite of the ruling, Japan continued with its whaling programme. This led Australia to propose a more stringent review of all existing permits. Anti-whaling NGOs say Japan’s scientific whaling is a disguise. Others criticise the practice because it is carried out in the southern ocean. This has been declared a whale sanctuary and all whaling is prohibited. A new sanctuary, proposed jointly by the governments of Brazil, Argentina, Uruguay and South Africa, would turn the entire Atlantic Ocean between South America and Africa into a whale haven. It has been described as a much-needed tool to fight the new dangers that whales and dolphins face. Strong arguments at #IWC66 from proponents of South Atlantic Whale Sanctuary resolution, this must be supported! How many whales die each year? However, hundreds of thousands more – possibly up to 300,000 – die as “bycatch”, accidentally caught in fishing nets. “Whaling has no place in the 21st century. It is outdated, it is thoroughly inhumane,” – Claire Bass, Humane Society International. “Science is needed whenever we conduct hunting or fishery or whatever. The utilization of natural resources needs to be supported by scientific evidence. The form of scientific research might be different, but science is still needed,” – Japan’s Commissioner Joji Morishita. “Australia, as you know, has invested significant amounts of money and helped an initiative known as the Twelve Nation Southern Ocean Research Partnership which emphasizes non-lethal methods of research. Acoustic tagging, underwater listening stations and satellite tracking can all provide very successful, effective and efficient methods of research without using lethal methods,” – Josh Frydenberg, Australian Minister for Environment and Energy.